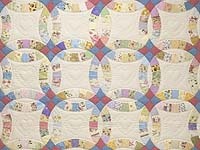 Stunning..Gorgeous.. A Double Wedding Ring quilt, the pattern has been changed to also feature a star within the ring. Truly a piece of art, a quilt taken to new level. 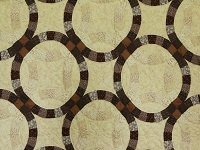 The background tone on tone cream off white cotton print. 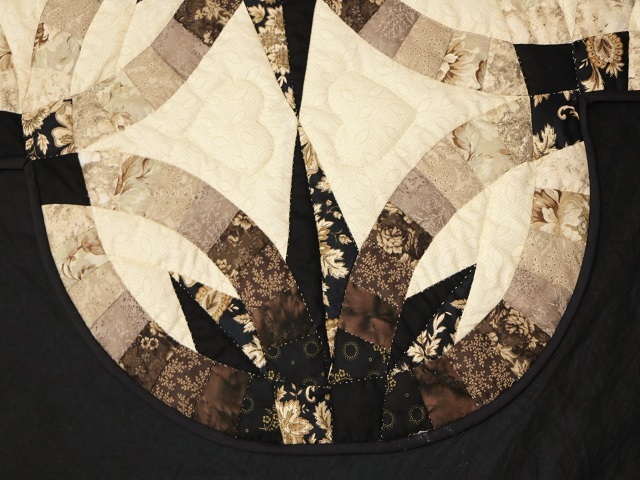 Be sure to note the hearts within the ring. 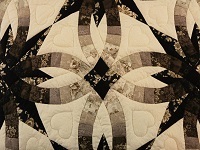 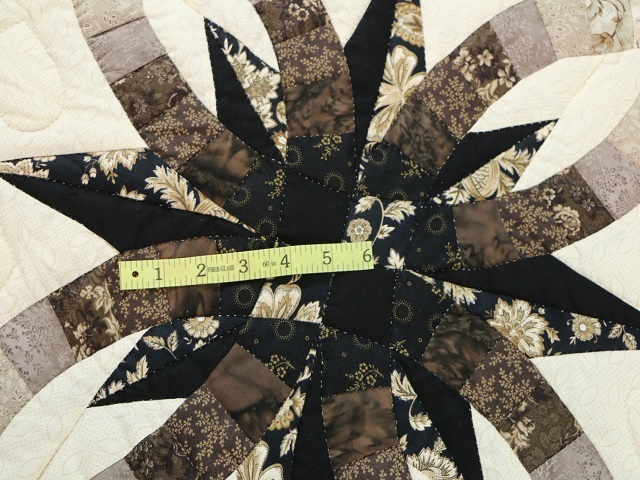 Was pieced by a Mennonite woman in her home and then quilted by a Plain woman. 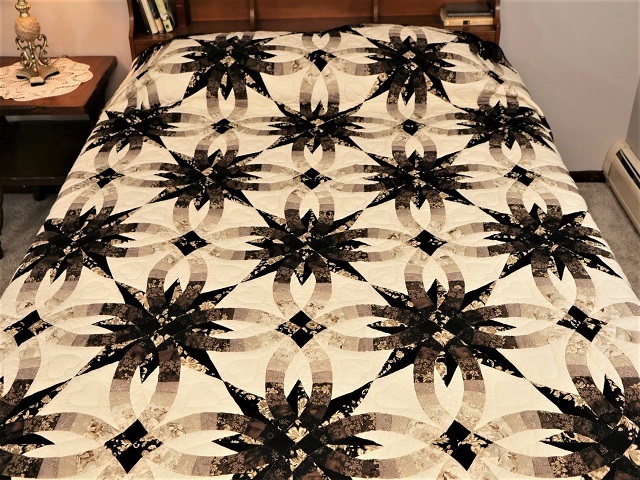 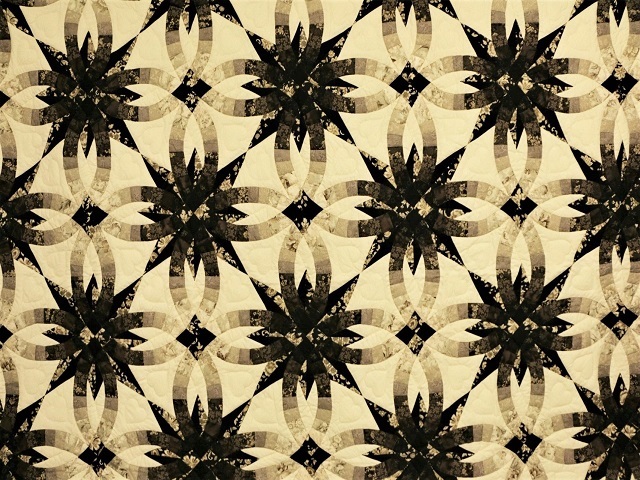 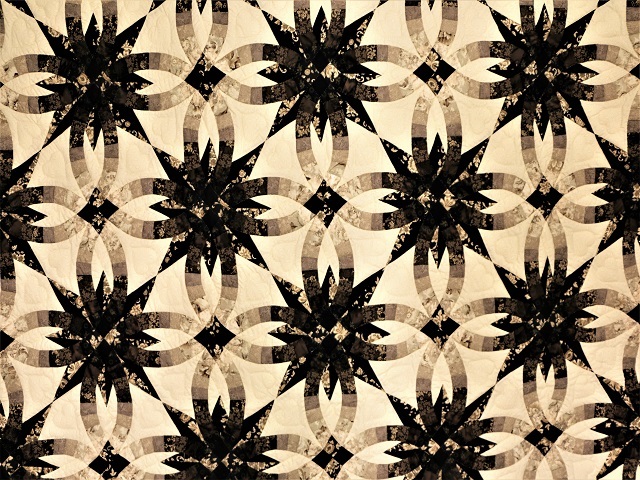 Prints in Black to Tans..The back of this quilt is covered with a single sheet of soft print fabric. 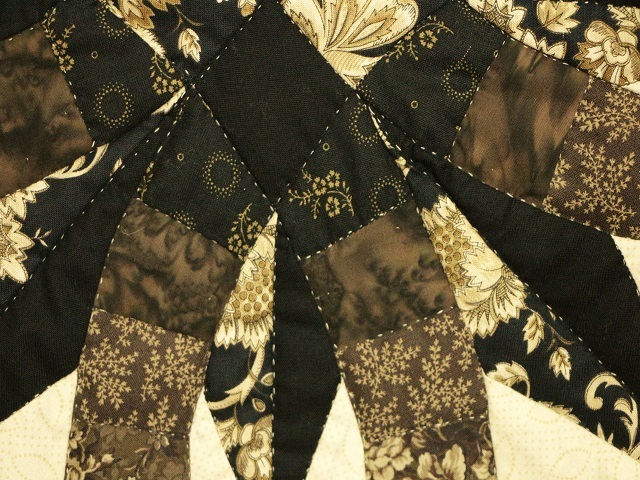 The quilting density is good and quilted with fine even stitches. 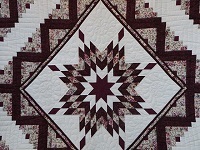 The stitching is good with about 6 stitches per inch. . A high quality quilt.